“She remembered when Hemingway had planted a banyan tree at his house and told her its parasitic roots were like human desire. At the time she’d thought it romantic. She hadn’t understood his warning.” In Depression-era Key West, Mariella Bennet, the daughter of an American fisherman and a Cuban woman, knows hunger. 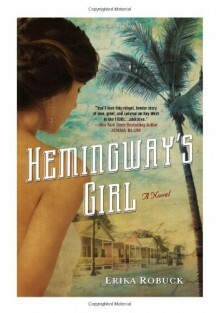 Her struggle to support her family following her father’s death leads her to a bar and bordello, where she bets on a risky boxing match...and attracts the interest of two men: world-famous writer, Ernest Hemingway, and Gavin Murray, one of the WWI veterans who are laboring to build the Overseas Highway. When Mariella is hired as a maid by Hemingway’s second wife, Pauline, she enters a rarified world of lavish, celebrity-filled dinner parties and elaborate off-island excursions. As she becomes caught up in the tensions and excesses of the Hemingway household, the attentions of the larger-than-life writer become a dangerous temptation...even as straightforward Gavin Murray draws her back to what matters most. Will she cross an invisible line with the volatile Hemingway, or find a way to claim her own dreams? As a massive hurricane bears down on Key West, Mariella faces some harsh truths...and the possibility of losing everything she loves. This is just too bland to hold my interest. A novel about 1930s Key West should be full of spit and spice and scandal. This one limps along, soft and sissified. Vanilla pudding.